As most of my gardening friends know, I'm the cheapest of cheapskate gardeners,, and I'm not averse to dumpster diving or curb shopping for gardening supplies. So I decided to do a series on some of my cheapskate gardening methods that let me garden for next to nothing. Enjoy! feed the plants. But that's not all I do with those lovely, large Chinquapin oak leaves from the tree outside my courtyard. A post on Gardenweb about using the pretty wire baskets from Dollar Tree for her orchids made me think of my bromeliads. I love bromeliads, but many of the ones I have aren't cold-hardy, so I put them in wire hanging baskets, which I get on sale at summer clearance at Dollar General or buy at yard sale and thrift stores. I also try to stock up on the liners on clearance, but the cheap ones don't seem to last too long, so I improvise. I save cardboard food boxes, cereal boxes and such, and use them to line the bottom of the basket. First, soak the cardboard in water to make it more flexible. I put a layer of the Spanish moss that is so abundant around here in the bottom just for looks, then mold the cardboard into the bottom over that, and trim off the excess at the top. Make sure you overlap the cardboard so there are no holes. I then put a little soil in the bottom to anchor the bromeliad, and fill in around the outside with the Spanish moss. If I'm being picky, I use scissors to neaten up the moss sticking out of the bottom and sides, but not usually. It dies and fall off eventually. I don't have space for a worm bin, so I make mini worm bins all over the garden by "planting" gallon pots full of leaves layered with plain old Florida sand into nooks and crannies in the garden. The first layer is about 2 inches of soil, into which I put a few of my red wigglers, then I start layering them with shredded leaves and more soil. I bury them about halfway down into the ground, plant an annual in the top, and by the next spring, the worms have come up into the pots and eaten the leaves and left me worm castings. I then pull up the pot and use the worm castings to make tea to water container plants, add to planting holes or add them to plain old native soil and chopped leaves to make potting soil. I thought of this after I found a thick layer of worm droppings in a 5-gallon pot the plant died in that had been sitting on the ground in the garden for a couple of years. BTW, a word of caution about earthworms. Earthworms are everywhere, and their eggs are even in the dead-looking sand in your yard. If they have nothing else to eat in your yard, they will come up into your pots and eat the organic matter in your potting soil. 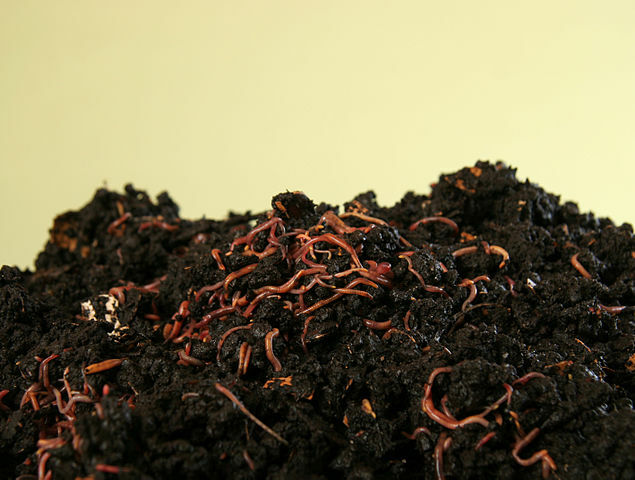 The problem with that is that having plant roots growing into pure worm poop will kill them (as I learned the hard way), so check your pots that are sitting on the ground every year to make sure you don't have worms eating the soil, or even the roots. They will eat the roots in potbound plants if there is nothing else for them to eat. 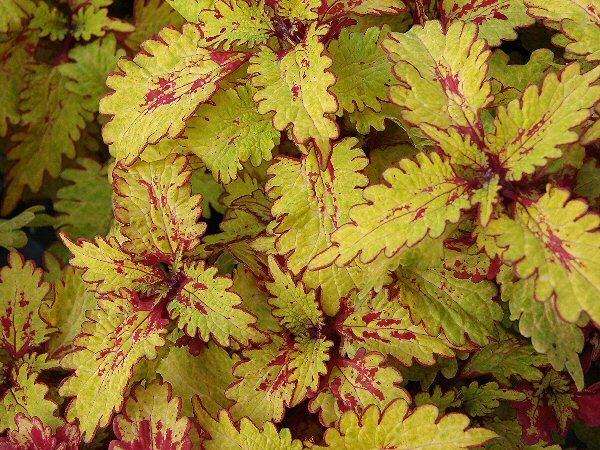 You can avoid this by putting the plants up on a paving stone or anything non-organic to lift them off the ground and block the worms from getting to them. Those little pot feet work well, and I've even used broken bricks and pavers under the pots to lift them up. 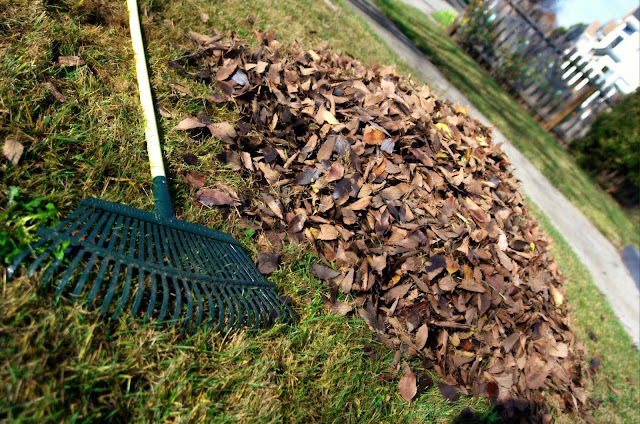 1/3 shredded leaves - I just put a layer of leaves out for the yard crew to mow over, then rake them up, but you can double-mow over a pile of leaves yourself, or put them into a leaf shredder, but they have to be shredded to decompose faster. 1/3 native soil or potting soil if you prefer. I find the native sand improves drainage. 1/2 cup of diatomaceous earth per 3 gallon size nursery pots full of soil, for nematodes and anything else bad lurking in the native soil. This also provides silica, which helps many plants grow better. READ HERE and HERE about the benefits of silica. It's great for tomatoes! If you have any cheapskate gardening ideas to share, please share them in the comments. I'm always interested in learning more tricks and tips to save money in the garden. If you enjoyed this post, please consider subscribing at the top right of the page to receive notices of new posts in your email.